.Reflect: Blends between reflection vectors (0) and eye normals (1). Default 1.0. .Scale: Scales the input lit sphere to compensate for excessive padding. Default 1.0. .Roll: Applies a roll in degrees around the view vector to allow reorientation of the shading. Default 0.0. 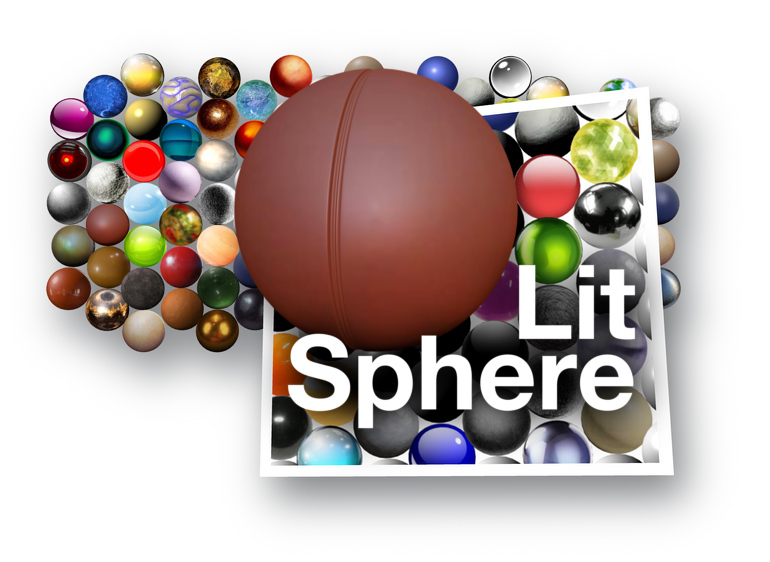 .LitSphereMtl: The lit sphere used for shading. Required. Can be image, mask, or material. 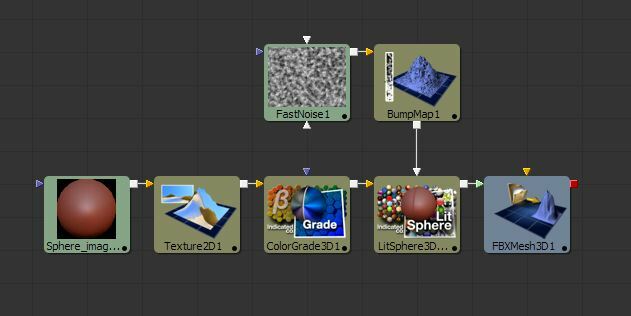 .BumpmapMtl: Optional normals input. Must be a bumpmap material. When using SW renderer, set the texture filtering for the lit sphere input to bilinear. SAT filtering may cause discrepancies from the GL preview. Precision/sampling issues may arise when .Reflect < 1.0 as reflection vectors can be very high frequency at glancing angles. Supersampling can mitigate this. 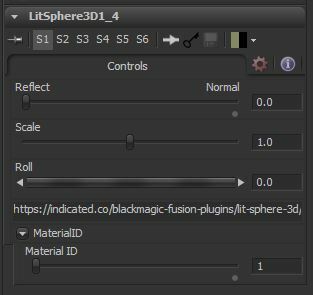 Output alpha comes from .LitSphereMtl to allow for transparent effects.